For as important as your vehicle air conditioner is, it’s obvious why you might want to get it inspected on a regular basis. Simply put, the air conditioner in your vehicle takes a lot of everyday wear and tear, and over time it can cease to work the way it should. A regular inspection—perhaps when you visit Meineke in Turlock CA for other routine maintenance, like an oil change and tire rotation—can keep your AC functioning properly. 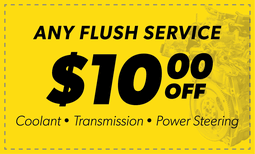 A convenient way to get your auto AC service completed is to request it at Meineke. Meineke’s service center in Turlock CA can perform AC checks along with other preventative maintenance, quickly and without hassle. Plus, you can visit the online coupon center to save a few bucks. This is the smartest way possible to invest in the longevity of your auto AC unit! Your auto air conditioning system takes a lot of wear, day in and day out, so it’s only a matter of time before individual components can fall into disrepair. Routine air conditioning service helps you prevent this. Additionally, a regular AC recharge ensures that you don’t run out of refrigerant—which is vital for the regular functioning of your auto air conditioning. There are a couple of things that can cause your auto air conditioning system to malfunction. The first is that it simply runs out of refrigerant; a regular AC check will help prevent this from happening. Also, your AC can simply undergo too much wear and tear. Any one component can malfunction, but addressing the problem early on prevents the repair needs from becoming too big or expensive.